Nokia is recalling 14 million phone chargers because of fears that they could cause electric shocks. The models in question, AC-3E, AC-3U and AC-4U, were made by the Chinese firm BYD and sold mostly in Europe and North America. No-one has been injured yet and they will be replaced free of charge. 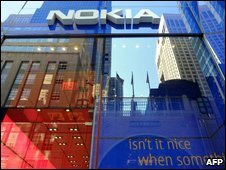 Nokia says the recall is a "proactive, precautionary measure". Customers can check if their charger is faulty on the firm's website. An internal investigation found that the charger's covers were prone to coming loose and exposing the internal components. That leaves the user at risk of an electrical shock if it is touched while plugged in. Nokia's sub-contractor BYD will cover the costs of the replacements.